Buy Online Now! 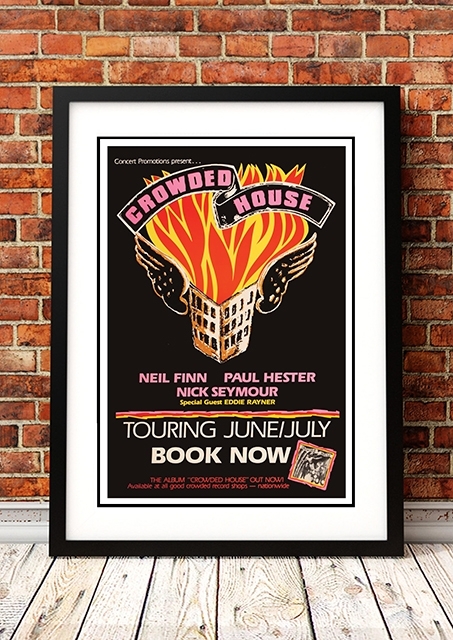 - Crowded House Rock Concert Posters and Memorabilia. 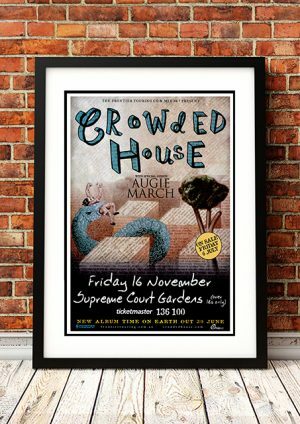 Crowded House had consistent commercial and critical success in Australia and international chart success in two phases, beginning with their self-titled debut album, which reached number twelve on the US Album Chart in 1987. It provided the Top Ten hits “Don’t Dream It’s Over” and “Something So Strong”. Further international success came in the UK and Europe with their third and fourth albums, Woodface and Together Alone and the compilation album Recurring Dream, which included the hits “Fall at Your Feet”, “Weather with You”, “Distant Sun”, “Locked Out”, “Instinct” and “Not the Girl You Think You Are”. 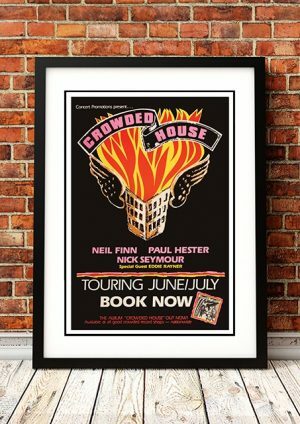 We stock a couple of cool Crowded House band concert posters including their debut album from 1986.